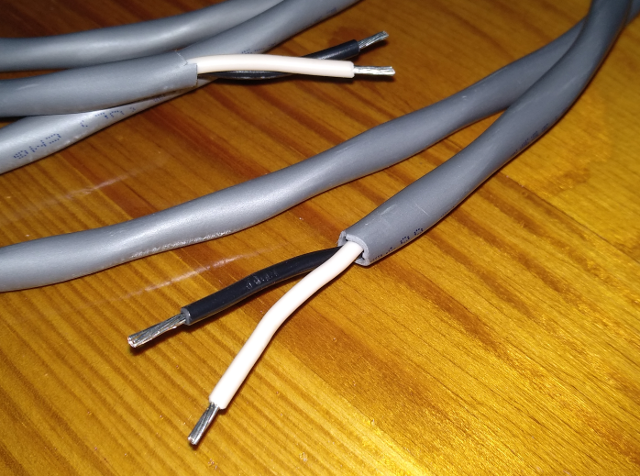 One cable comes from a power amplifier. A second cable is connected to the speaker above, mounted on a stand. And the third cable is going to another speaker stand. The WAGO 222 cable splicer can accommodate cables from 28 to 12 AWG. 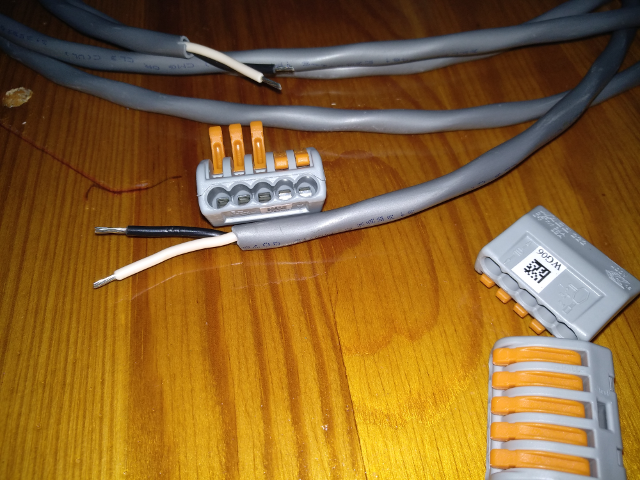 As usual, strip about 10mm of cable insulation to expose the conductors. There is no need to twist the conductor strands! This means no more frayed ends that cannot be inserted into speaker spring clips. 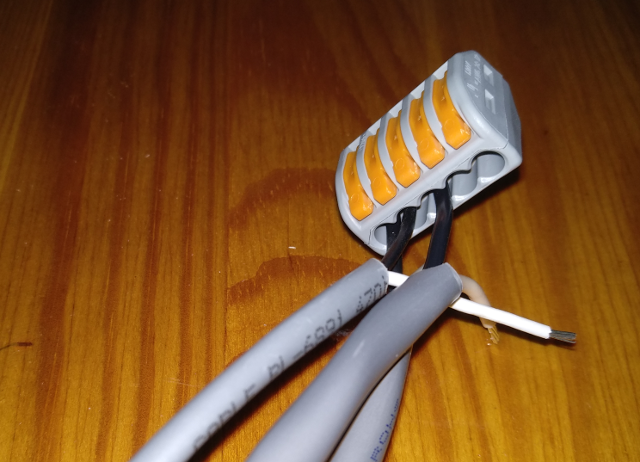 With five individual holes to insert your cables, this means no more frustrations trying to insert two frayed, multistrand wires into a speaker's spring clip, or attempting to connect three multistand wires with a nylon screw terminal! 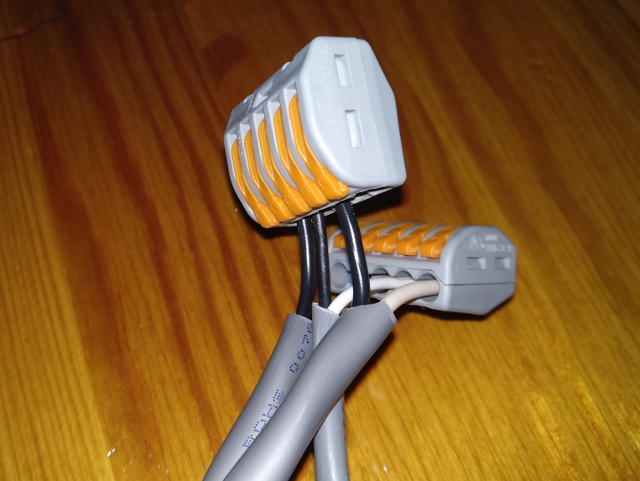 The three black cable ends are connected once the orange levers are snapped shut. If you are not careful, the lever may hit you as it snaps shut. Now, you have three cables spliced together - from the power amplifier, to the speaker above, and to the next speaker.